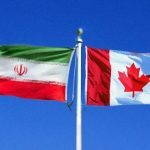 Presented by CIPS and The Institute for Peace & Diplomacy in cooperation with the Human Rights Research and Education Centre at the University of Ottawa, and the Iranian Canadian Congress. We would like to invite you to join us at the upcoming policy briefing session on ‘Canada’s Role in the Middle East and its Iran Policy’. We are pleased to have four distinguished experts on this panel, which aims to cover important foreign policy issues such as regional conflicts in the Middle East, Canada-Iran relations, and Canada’s role in the broader Middle East region, the Trump Administration’s sanctions regime against Iran, human rights, as well as the future of the Iran nuclear agreement after US withdrawal and EU efforts to preserve the JCPOA. The duration of the panel is about 60 minutes followed by 30 minutes of Q&A. We expect participation of Members of Parliament, political staffers, officials and policymakers, members of the diplomatic community in Ottawa, media, foreign policy academics and students. This event is registration only and RSVP is required by end of Feb 10, 2019. Please Register and RSVP by sending an email with your contact information to [email protected]. Note that building security will ask you for a valid ID to enter the building. For faculty and students at the University of Ottawa we kindly ask that you RSVP using your official university email address.